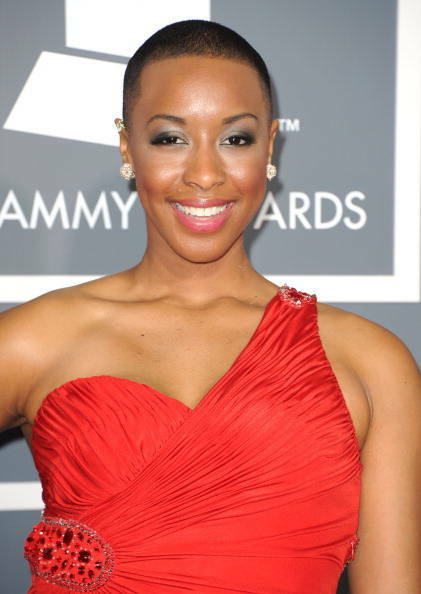 Washington, D.C.: Education creates freedom, according to 28-year-old Grammy-nominated singer Carolyn Malachi. It's worked for her: The Washington. D.C. native realized halfway through college at Shepherd University in West Virginia, on academic and basketball scholarships, that what she really wanted was to pursue music. And now, with the release of her third studio album, Malachi plans to bring hundreds of students along with her into freedom through her "I AM Campaign." "I don't have to wait till I'm a billionaire to start doing good for people half a world away," says Malachi. "There are no rules in the music industry. 'Free Your Mind' tells you that wherever you are in your life right now, your mind put you there. Education gives us ACCESS to information. What we do with it is what makes all the difference. Crowd-funders have until July 12 to learn more, through Indiegogo, in a music video of "Free Your Mind," which will feature high-level funders and high-school students in Tanzania, singing and dancing with Malachi. Next, Chegg for Good and other sponsors will pay 19 cents -- that equals one hour in the classroom -- for every time the video is viewed, for the next six months. The video viewing campaign will run six months, from the date of the music video premiere and will raise thousands of dollars, 100 percent of which will go toward school fees for young women and men who will use the power of education to graduate from "When I grow up, I want to be a ___," to "I AM -- a doctor, a lawyer, a teacher . . . "
"Just viewing the video will help a kid go to school for an hour," says The School Fund's media relations director, "JP" Joseph Pineda. "We're getting young people connected with us through music. We're rethinking how we do fundraising and awareness." The School Fund, a nonprofit 501(c)3 launched by volunteer college students, has helped over 200 students like Eliazeri Elihakima to get off the streets and back into school. Eli, a high-school dropout, saw young men in his village turning to home-brewed alcohol and hopelessness. 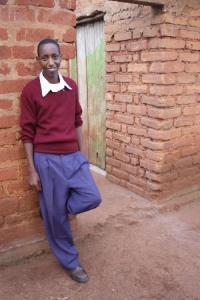 Now graduating from high school, he plans to attend college and help his three younger siblings secure an education, too. His picture is below, and he is back in school and a leader in his family and community. The School Fund, dedicated to connecting funders around the world with students via their person-to-person online platform, began in Africa with a simple act of generosity: A visiting American student named Matt Severson handed a younger student, John Medo, the $150 John needed to stay in school. They've become great friends and along the way, helped students in India, the Philippines, Haiti, China, and eight other countries. "We're so excited about this partnership with Carolyn," effuses Severson. "She has a very cool following; and because she has such a give-back approach, her fans will be excited about what we're doing for students." Malachi, great-granddaughter of renowned jazz musician John Malachi, "grew up listening to artists like Nina Simone and Miles Davis" and has always viewed music "as a way to make an impact." She's not waiting for some moment in the future. "I realized: stop waiting to do something good, for yourself and others! Be more cognizant about what's going on in the world around you, and take action! As 'Free Your Mind' says, you don't want to miss this moment." Readers can learn more at The School Fund or Indiegogo and can view this video of "Beautiful Dreamer" by Carolyn.